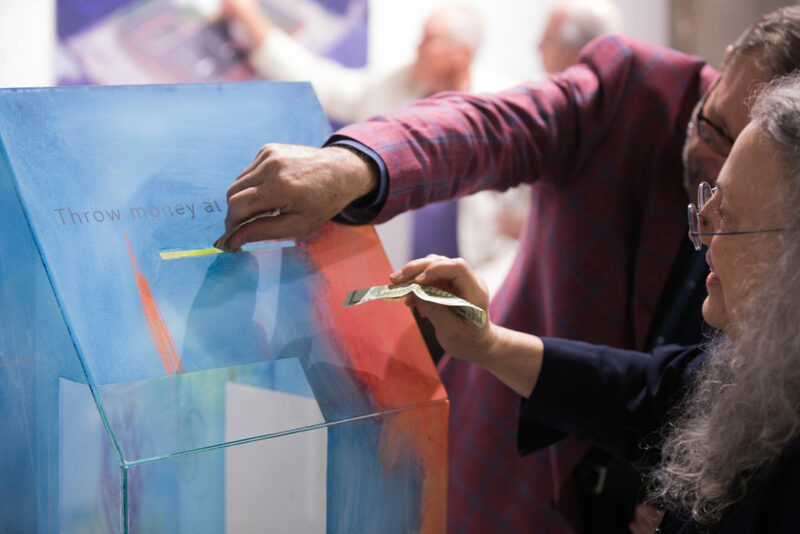 KANEKO is embarking on a Capital Campaign focused on constructing the Collection Building that will house the artwork and artifacts in the Jun Kaneko Collection in perpetuity. This $30 million campaign will complete the KANEKO campus and be integrated into current KANEKO programming. Donated by Jun as a gift to his adopted home of Omaha, this promised collection is dually composed of over two thousand works and an archival repository chronicling Jun’s artistic, personal, and professional endeavors. The Collection Building will add roughly 30,000 square feet to the KANEKO campus. 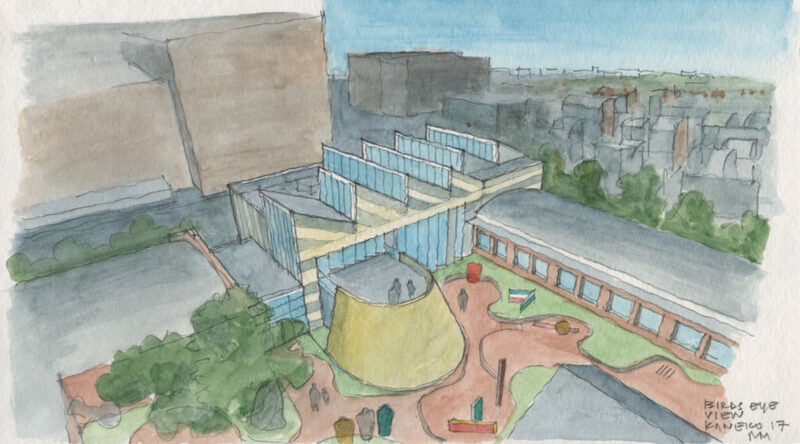 In keeping with KANEKO’s overarching mission to serve as an open space for creativity, the Collection Building will be accessible to the public for research, exploration, and learning. It will function as a contemporary exhibition area, archive, and storage facility that is contiguous with the other KANEKO spaces. Architect Mark Mack designed the Collection Building and HDR Inc. is the Executive Architectural Firm. The Collection is now comprised of works by Jun Kaneko, along with works by other artists and objects that have influenced him. Jun has promised more than 2,000 works to The Collection, making it a premier resource for study, research, programming, and education. Guest curators, artists, art historians, and students can interpret works from The Collection, tracing Kaneko’s artistic process and his aesthetic evolution. We hope that construction can begin on the Collection Building in the spring of 2018 and finish in the spring of 2019. The Collection will also maintain an active lending program and an ongoing calendar of internationally traveling exhibitions. When students of all ages tour The Collection they will be exposed to art of the highest caliber, inspiring them to experiment and discover their own creative potential. The general audience sees the exceptional collection as a vivid introduction to KANEKO’s origins. As KANEKO evolves, The Collection will remain at the heart of the campus, bringing all those who enter back to the philosophical source of KANEKO. Over the last ten years, our increasingly comprehensive programming has laid a strong foundation for exploring the creative process, engaging the local community, and building an international presence. Realizing these projects will solidify KANEKO as a world-class center for creativity. We are thankful for your support. Throw money at the building. To date, we have raised $10.9 million (as of December 11, 2017). The Collection Building will cost $20 million and we are seeking an additional $10 million in Sustainability Funds for the building. You can contribute to keeping Jun Kaneko’s collection here in Omaha by donating today.